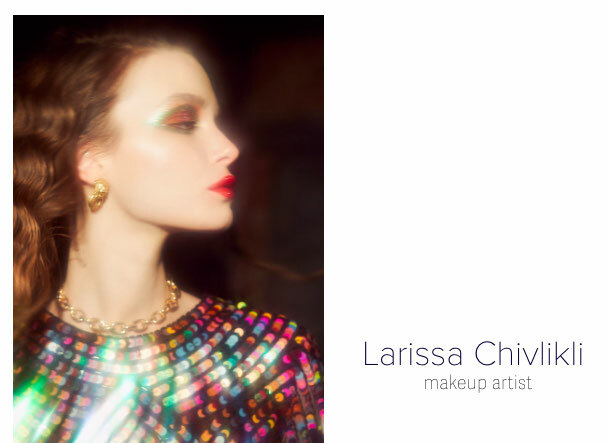 As a make-up artist I have been working in the fashion and beauty industry for over 10 years. I got basic education in art at school, where painting was (and still is) my favourite pastime. Later I graduated from St. Petersburg University of Arts and Culture and got a qualification as a culture expert in the sphere of fashion. During my study I became seriously interested in make-up, which finally brought me to Moscow. There I was instantly employed by the TV channel MTV, where I obtained extensive experience of work with a great many of Russian and Western show business stars. I was also lucky to work for Russian editions of such magazines as Vogue, Harper’s Bazaar, Glamour, Elle, L’Officiel and during fashion shows of such famous brands as Chanel, Lancel, B-Rude, GAP, Topshop. I am really fond of what I do. That’s why it is so interesting for me to work with different faces, cope with different tasks.